Bourne End is a village mostly in the parish of Wooburn, but also in the parish of Little Marlow, in Buckinghamshire, England. The village is near the border with Berkshire, on the north side of the River Thames, close to where the River Wye empties into the Thames. The Stones of Blood is the third serial of the 16th season of the British science fiction television series Doctor Who, which was first broadcast in four weekly parts on BBC1 from 28 October to 18 November 1978. Part 4 was broadcast during the week of the show's fifteenth anniversary. Dr. Susan Calvin is a fictional character appearing in Isaac Asimov's Robot series of science fiction short stories. She was the chief robopsychologist at US Robots and Mechanical Men, Inc., posited as the major manufacturer of robots in the 21st century. She was the main character in many of Asimov's short stories concerning robots, which were later collected in the books I, Robot and The Complete Robot. Henri Lehmann was a German-born French historical painter and portraitist. Rudolf John Frederick Lehmann was an English poet and man of letters. He founded the periodicals New Writing and The London Magazine, and the publishing house of John Lehmann Limited. Rosamond Nina Lehmann, was an English novelist and translator. 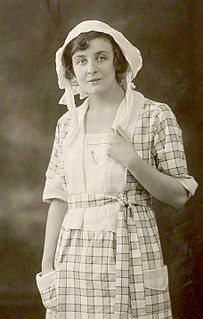 Her first novel, Dusty Answer (1927), was a succès de scandale; she subsequently became established in the literary world and intimate with members of the Bloomsbury set. Her novel The Ballad and the Source received particular critical acclaim, and her books The Echoing Grove and The Weather in the Streets were filmed, one version in 1983 with Michael York and Joanna Lumley which was the second time the BBC had filmed that book, but this version also included sections of " Invitation to the Waltz". The London Borough of Camden is a borough in north west London, and forms part of Inner London. Historically in Middlesex, some southern areas of the borough, such as Holborn, are sometimes described as part of the West End of London. The Passing of the Third Floor Back is a 1935 British drama film directed by Berthold Viertel and starring Conrad Veidt, Anna Lee, Rene Ray and Frank Cellier. The film is based on a 1908 play and short story by Jerome K. Jerome and depicts the various small-minded inhabitants of a building and the arrival of a stranger who works to redeem them. The work had previously been adapted into a 1918 film version by Herbert Brenon. Strangers on Honeymoon is a 1936 British comedy film directed by Albert de Courville and starring Constance Cummings, Hugh Sinclair and Noah Beery, based on a 1926 novel by Edgar Wallace. Much of the film takes place in Canada. It was made by Gainsborough Pictures at the Lime Grove Studios in Shepherd's Bush. The film's sets were designed by the art director Ernö Metzner. Wallace's son also contributed to the film's screenplay, along with 5 other writers. The Rat is a 1937 British drama film directed by Jack Raymond and starring Anton Walbrook, Ruth Chatterton, and René Ray. It is based on the play The Rat by Ivor Novello which had previously been made into a 1925 film The Rat starring Novello. 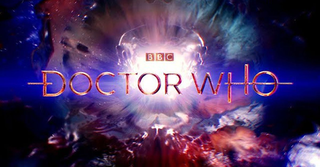 It was made at Denham Studios by Herbert Wilcox Productions. Dame Thora Hird, was an English actress and comedienne of stage and screen, presenter and writer. In a career spanning over 70 years, she appeared in more than 100 film and television roles, becoming a household name and a British institution. A three-time winner of the BAFTA TV Award for Best Actress, she won for Talking Heads: A Cream Cracker Under the Settee (1988), Talking Heads: Waiting for the Telegram (1998) and Lost for Words (1999). Her film credits included The Love Match (1955), The Entertainer (1960), A Kind of Loving (1962) and The Nightcomers (1971). Una O'Connor was an Irish-American actress who worked extensively in theatre before becoming a character actress in film and in television. She often portrayed comical wives, housekeepers and servants. Nina Wadia is a British actress, known for playing Zainab Masood in the BBC soap opera EastEnders, Mrs Hussein in the Open All Hours spin-off Still Open All Hours, and for starring in the hit BBC Two sketch show Goodness Gracious Me. Additionally, Wadia played an important role in the Hindi-language romantic comedy Namaste London (2007). Clara Blandick was an American stage and screen actress best known for her role as Aunty Em in Metro-Goldwyn-Mayer's The Wizard of Oz (1939). As a character actress, she often played eccentric elderly matriarchs. Coral Edith Browne was an Australian-American stage and screen actress. Her extensive theatre credits included Broadway productions of Macbeth (1956), The Rehearsal (1963) and The Right Honourable Gentleman (1965). She won the 1984 BAFTA TV Award for Best Actress for the BBC TV film An Englishman Abroad (1983). Her film appearances included Auntie Mame (1958), The Killing of Sister George (1968), The Ruling Class (1972) and Dreamchild (1985). Lehmann is a German surname. Paula Wilcox is an English actress. She is best known for roles in TV shows such as Girlfriends, Upstart Crow, Mount Pleasant, Boomers, Emmerdale, The Smoking Room, The Queen’s Nose and Man About The House. Catherine Lacey was an English actress of stage and screen. Isla Blair is a British actress. She made her first stage appearance in 1963 as Philia in the London debut of A Funny Thing Happened on the Way to the Forum. The Cat and the Canary is a 1922 stage play by John Willard, adapted at least four times into feature films, in 1927, 1930, 1939, and again in 1979. The original stage play opened on Broadway February 7, 1922. Mary Nash was an American actress. Nydia Eileen Westman was an American actress and singer of stage, screen, and television. Hessy Doris Lloyd was an English-American actress of screen and stage. She is perhaps best known for her roles in The Time Machine (1960) and The Sound of Music (1965). During her career, Lloyd appeared in two Oscar Best Picture winners and four other nominees. Vera Lewis was an American film and stage actress, beginning in the silent film era. She appeared in 183 films between 1915 and 1947. She was married to actor Ralph Lewis. Candles at Nine is a 1944 British mystery film directed by John Harlow and starring Jessie Matthews, John Stuart and Beatrix Lehmann. A wealthy man jokes about being murdered for his inheritance but is then found dead. His money is left to a distant female relative and attempts now begin on her life too. Blanche L. Friderici was an American film and stage actress, sometimes credited as Blanche Frederici. Nora Gordon was a British film and television actress. She was married to Leonard Sharp. Her daughter is the actress Dorothy Gordon. Bodil Rosing was a Danish-American film actress in the silent and sound eras. Sarah Evershed Brackett was an American-born television and film actress who worked mostly in Britain. 1 2 "Rumour of Heaven". Goodreads.com. Retrieved 20 August 2017. 1 2 3 "Beatrix Lehmann – Person – National Portrait Gallery". Npg.org.uk. 22 September 1970. Retrieved 30 October 2015. ↑ "Beatrix Lehmann – Movies and Filmography – AllMovie". AllMovie. ↑ "Beatrix Lehmann, British Actress of Stage, Screen, TV and Radio". The New York Times . Retrieved 20 August 2017. ↑ "Doctor Who Classic Episode Guide – The Stones of Blood – Details". BBC. Retrieved 30 October 2015. ↑ "The Cat and the Canary (1981)". Bfi.org. Retrieved 20 August 2017. ↑ Guppy, Interviewed by Shusha (11 August 1985). "Rosamond Lehmann, The Art of Fiction No. 88" – via www.theparisreview.org. ↑ "Lehmann Family Papers - Rare Books and Special Collections". rbsc.princeton.edu.